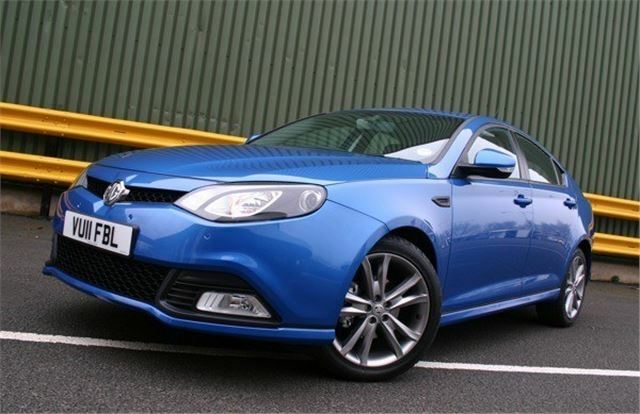 Production of the MG6 is ramping up as you read this and dealers are now open for orders. At launch, the three-car range kicks off at £15,495 for the entry-level S model, next up is the SE at £16,995 while the range-topping TSE comes in at £18,995. Given that even the S rides on 17-inch alloys and boasts the same 158bhp TCI Tech engine, it’s the value model that really looks like the one for us. However, we’re driving the TSE and it’s loaded with kerbside appeal. 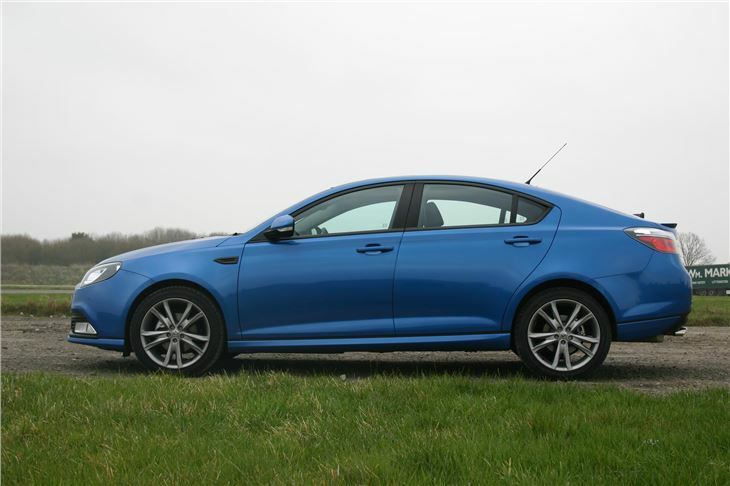 Riding on 18-inch alloys and finished in Union Blue, the MG6 looks cohesive and distinctive. The panel gaps are tight and the paint finish is smooth – it certainly doesn’t look like a budget product. Inside, it’s much the same story – a good-looking effort with bags of appeal. 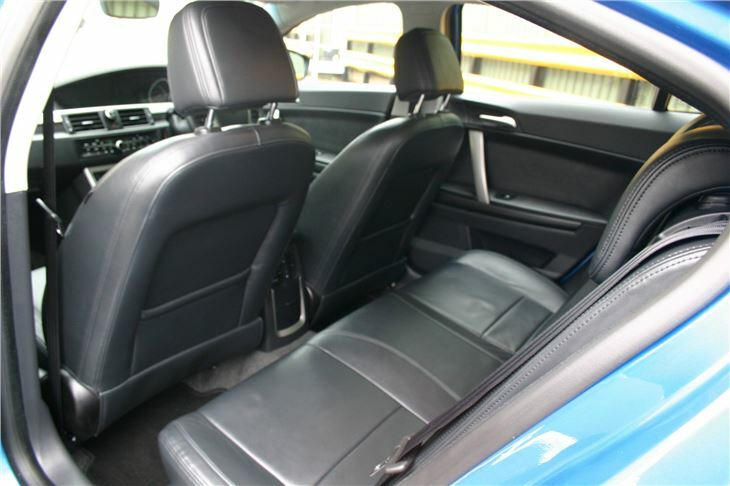 The interior is roomy and the seats are supportive, although the high shoulder line, fat windscreen pillar and limited rear three-quarter visibility can make the MG6 seem a little on the claustrophobic side. However, rear seat legroom is impressive and the boot is huge for its sector. Ergonomically, it’s not bad, with the controls all grouped where they should be and the sat nav menu system being child’s play to navigate. The controls for the digital split air-conditioning system are a little on the mean side, but that’s nitpicking. 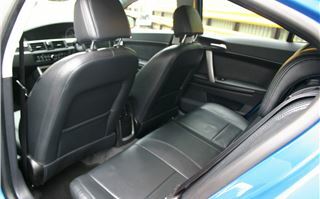 What about the interior quality? Well, it’s no Volkswagen Golf, but the MG6 has certainly improved since we looked at the pre-production cars last year. 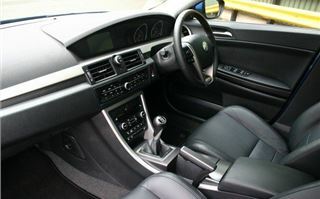 The dashtop, gear lever and steering wheel all feel good to touch. However, it’s not perfect, with a few rough edges taking the sheen off what could have been a very well polished performance – the scroll knobs on the steering wheel feel nasty (MG has promised to improve this) and there are a few moulding seams that shouldn’t be there. Finally, some of the interior plastics are on the cheap side, too - although they’re not ones you’d be touching on a daily basis, so are hardly worth getting hung up about. It’s on the road where the Longbridge engineering team has really put the hours in, producing a great driver’s car worthy of the MG badge. Initially, the steering feels heavy and first gear can be a bit of a struggle to engage but, once underway and warmed up, it comes together well, stringing together a set of bends beautifully. It’s most at home on A and B-roads, with bags of grip and low-roll cornering, but the precise steering leaves the most lasting impression. Ride quality is on the firm side of acceptable – softer, for instance, than an MG ZS – and the damping is impressive at reining it all in. Road noise is contained well and potholes are taken in its stride. In short, it’s dynamically spot on, light on its feet and right up there with the Ford Focus in terms of feedback – it’s definitely well suited to British roads. Most interestingly, for the European launch in 2012, the MG6 will be fine-tuned to each market’s specific tastes. Performance is adequate. 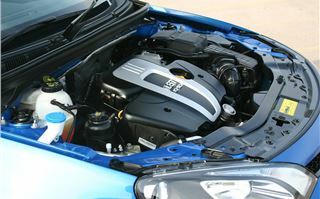 The 1.8-litre turbocharged TCI Tech engine has a familiar sound and feel plus it's well insulated and damped. Maximum speed is limited to 120mph (resulting in a low insurance group). 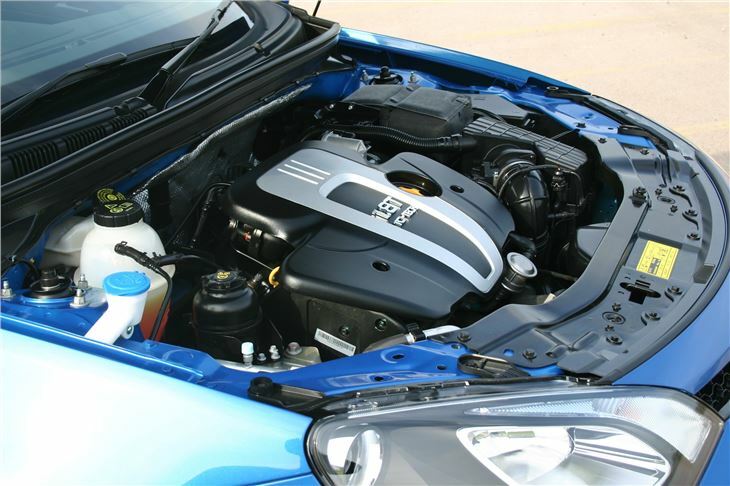 We timed 0-60mph at 9.0 seconds and, on the motorway, it settles to a muted hum, with the engine bang in the middle of its flat and lengthy power band for muscular response – which is slightly flattered by a keen low-pressure turbo installation. It starts to feel thrashy towards its 7200rpm rev limiter, but the MG6 does its best between 3000rpm and 5000rpm – keep it on the boil here and you’ll find it going along capably with the speedo usually reading more than you’re expecting. However, we’ve been skirting around the rhinoceros in the room – the lack of a diesel option. This will be most keenly felt at the pumps. Driven enthusiastically – encouraged by that capable chassis – it’s easy to dip fuel consumption into the high-20s, with a realistic average of around 35mpg. A CO2 output of 184g/km is unacceptably high and this is seriously going to deter fleet buyers. The good news is that a diesel is coming and we’ve seen it. 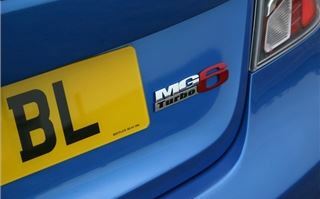 Without the risk of repeating ourselves, we’ll simply say that the MG6 is good. 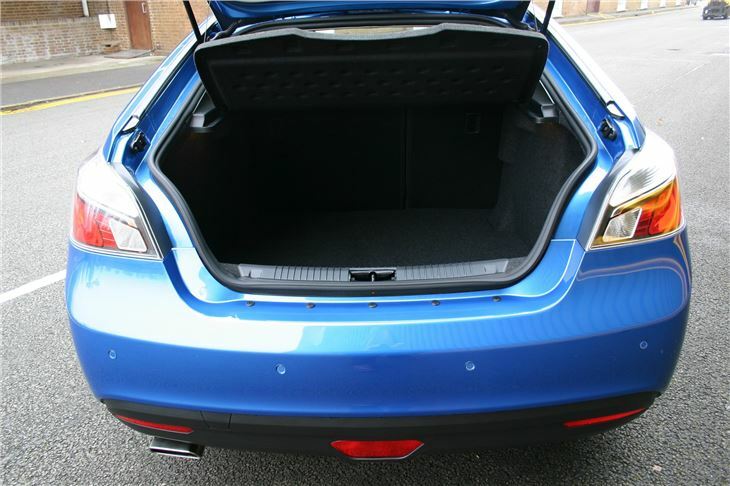 Sure, there are one or two rough edges, but in no way does that detract from the appeal of an exciting addition to the budget end of the market for the £15.5k entry level car. On the road it feels easily capable of mixing it with more expensive machinery – ‘our lads’ in Birmingham have done a great job. 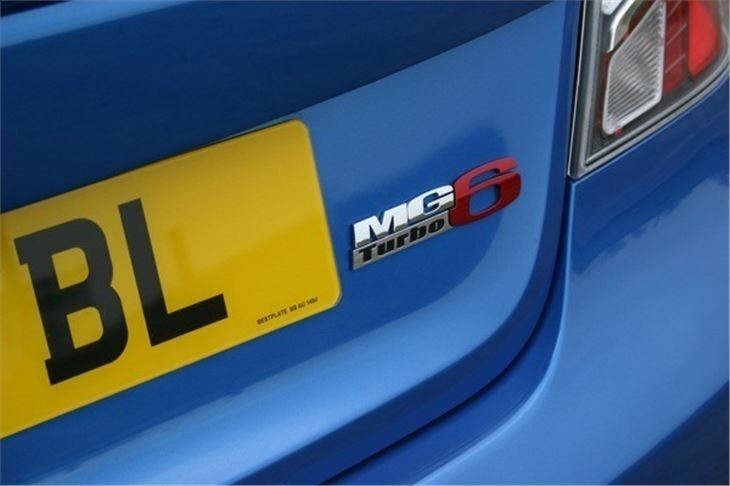 The MG6 is the product of an ambitious company, which has realistic expectations from its UK soft-launch – it’s much better than we had expected it to be. It’s going to appeal to keen drivers who appreciate a tactile, well-damped car, which is far less extreme than the old MG car range. It’s for the family man in a hurry and, preferably, with a company fuel card. It’s a pity that the saloons and diesels aren’t available from launch – both of which will massively extend the appeal of the MG6 – but, as it stands, we’ll give it a thumbs-up. MG is back – and there’s so much more to come.